The Low-Down: Why Can't Europe Do Tech? Why Can't Europe Do Tech? The aristocratic disdain for 'trade' finally appears to have dissipated. The homers at the European Commission are beating up as much as they legally can on big US tech firms. And the talent, interest - and maybe even, at long last, risk capital - are present. Jeez, Europe, what more do you need? Great universities. Fantastic transit systems. More than twice the population of the U.S. The finest cars, watches, wine, beer—OK, the Americans do better beer now, but still. 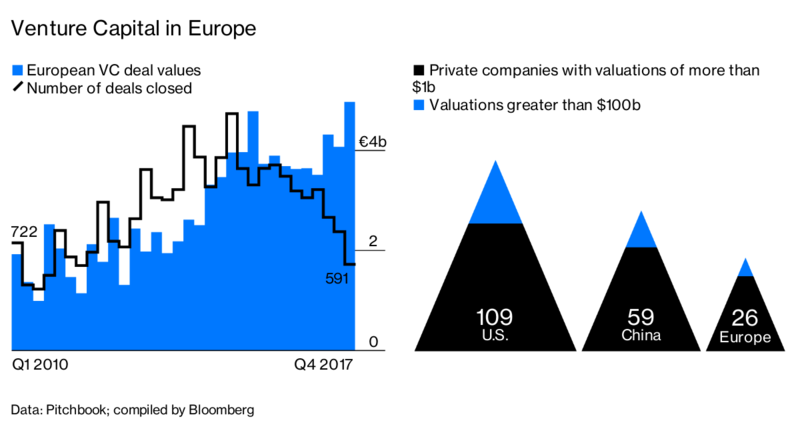 Over the past few years, Europe has brought in the kind of money it used to lack, worn down some barriers to regional expansion, and built a handful of startup hubs in its national capitals. The world needs alternative visions of the future—all Europe needs to do is find some. Jeez, Europe, what more do you need? Great universities. Fantastic transit systems. More than twice the population of the U.S. The finest cars, watches, wine, beer—OK, the Americans do better beer now, but still. So many glorious advantages. And yet Europe, as ever, continues its reign as the globe’s consumer-tech underachiever. The heyday of Nokia Corp. and Ericsson AB is a distant memory, and Europe doesn’t have anything remotely comparable to Apple, Amazon, Alphabet, Microsoft, or Facebook, or Alibaba or Tencent, companies with market values ranging from $400 billion to $1 trillion and counting. With apologies to Stefon, Europe’s hottest tech business is Spotify ($34 billion); the only one into nine figures is SAP ($140 billion), the German maker of the world’s most boring business software. The good news for Eurostartups is that they’ve got their best chance in a good, long while to make something of themselves. China’s national champions are struggling to expand in markets for which they haven’t adequately tailored their services. And Silicon Valley is two years into a string of unforced errors: Fake news. Cambridge Analytica. The new MacBook Pro keyboard. On Aug. 13 the Associated Press reported the latest outrage—Google has been tracking app users’ locations and storing that data even if users change their privacy settings to forbid it from tracking their location activity. Facebook Inc. and Google are persuasively if unintentionally making the case that the world needs alternative visions of the future—all Europe needs to do is find some. 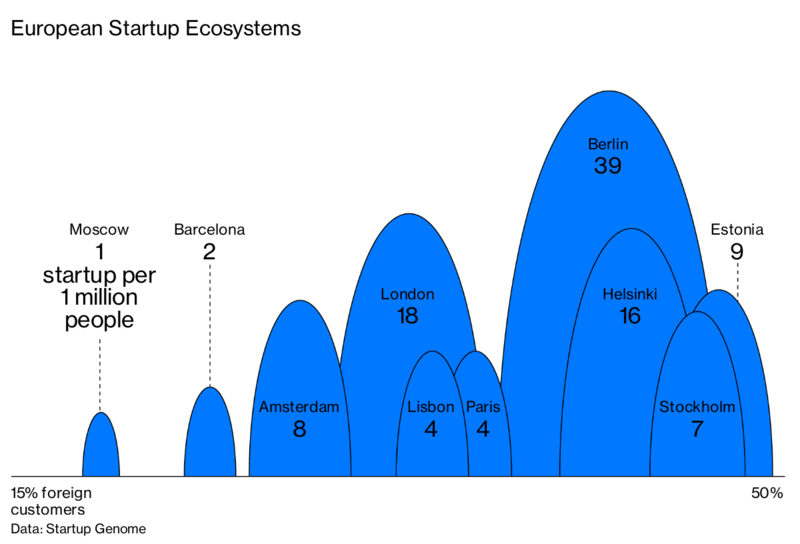 Over the past few years, Europe has brought in the kind of money it used to lack, worn down some barriers to regional expansion, and built a handful of startup hubs in its national capitals. “Europe’s tech ecosystem has the talent, ambition, and velocity to produce companies of comparable scale to the Facebooks and Ubers of the world,” says Manish Madhvani, managing partner of GP Bullhound LLP, a tech-focused investment adviser. And still, many of the continent’s best efforts keep flaming out or selling out too early. It’s worth taking a tour through this lovely land of walkable cities and missed business opportunities to figure out what’s gone wrong, and what may finally be going right. In Berlin, you can see that the problems start with thinking small. 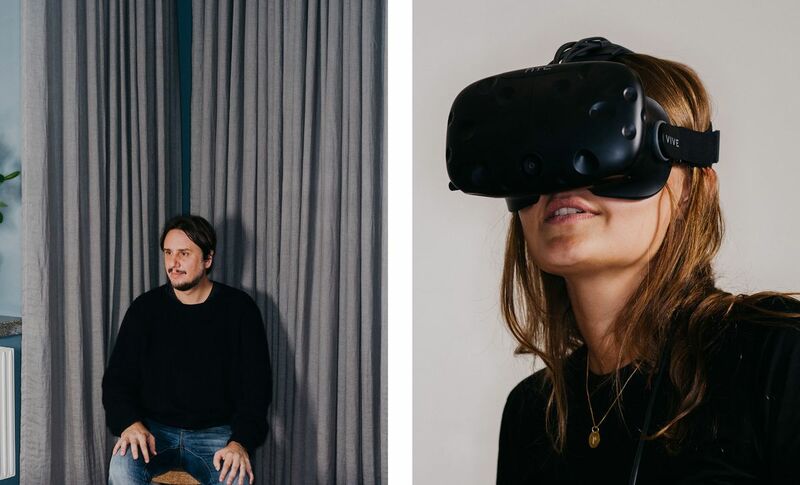 For more than a decade, Rocket Internet SE has built a series of businesses here, in the city with the most startups per capita in the region. Mostly, Rocket shamelessly copies successful U.S. and Asian companies, the idea being to create regional market leaders or at least make them enough of a nuisance that the originals buy them out. Rocket has drawn thousands of young graduates, who could otherwise be aiming higher, to work in its clone factory by day and enjoy Berlin’s insane club scene by night (and then day and then night again). Even Rocket’s most successful creation—Zalando SE, a onetime Zappos.com doppelgänger that’s become Europe’s largest online fashion retailer—hasn’t pulled itself onto a larger stage. 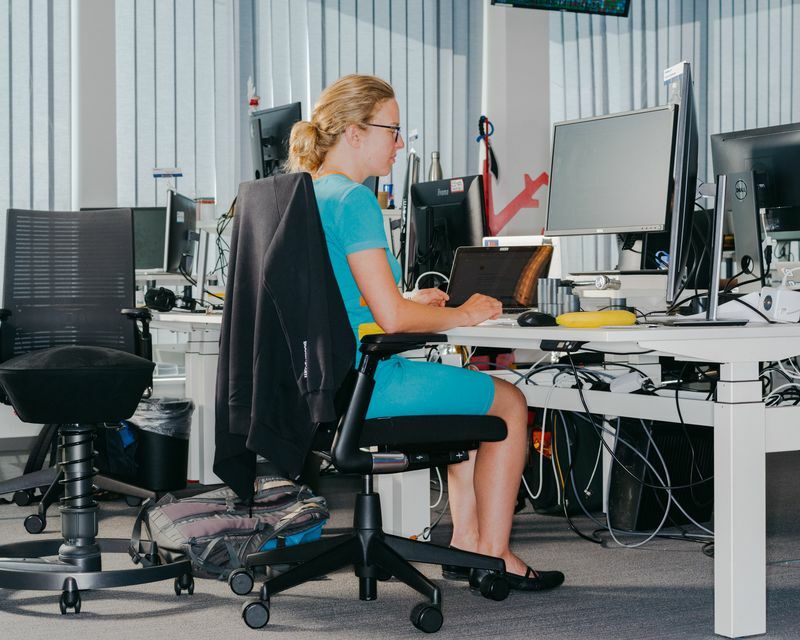 Although Zalando has a market value of more than $14 billion and 15,000 employees, its sales remain concentrated in Germany, Austria, and Switzerland, and it has set its sights modestly. Its expansions into Ireland and the Czech Republic this summer were its first since 2013. Startups that transcend their intra-European niches run the risk of being forced to sell out, even if, unlike some of Rocket’s creations, they don’t necessarily want to. From Amsterdam, Booking.com lists rooms for rent at some 2 million properties around the world, generating annual revenue of more than €7 billion ($7.94 billion). If the 17,000-employee company were independent, its market value would likely be north of $50 billion. But since 2005, its profits have ultimately flowed to Connecticut, the home of Priceline.com. The online travel company, best remembered for its cheesy William Shatner ads, bought Booking for $113 million in its early years. Today, that deal is a veritable case study in smart dealmaking: Booking generates an estimated 80 percent of Priceline’s $11 billion in annual revenue. 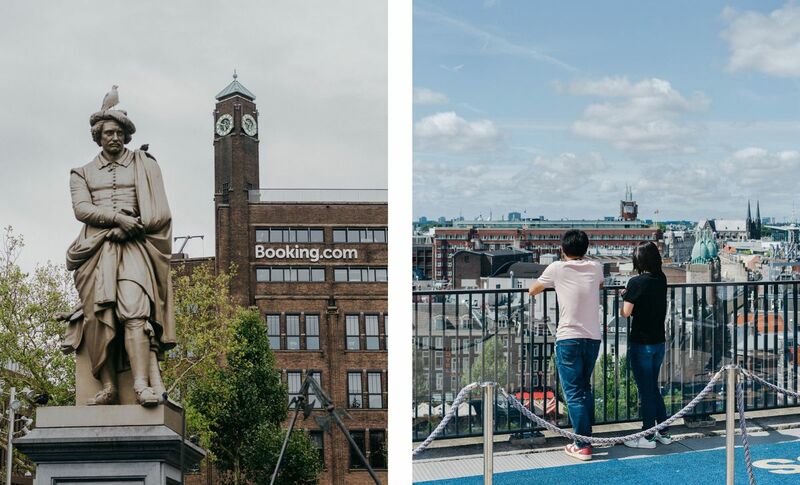 Earlier this year, the parent company even changed its name to Booking Holdings Inc., belatedly acknowledging which brand really matters. Gillian Tans, who runs Booking.com (but not the parent company) and has been there for 16 years, says Booking sold to Priceline because it was desperate for money to keep growing. “Maybe if at that time there would have been more funding available, Booking would have made different choices,” she says. When Booking sold, lack of venture capital was the top complaint among Europe’s startup founders. Things have changed. Last year, 3,500 European companies received a combined $19 billion in venture investment. Although that pales next to China’s $40 billion and America’s $67 billion, it’s a record for Europe and four times greater than the figure from five years ago. Still, pressure to cash out, instead of betting on the business, has remained a problem. Take Finnish mobile-gaming heavyweight Supercell Oy, one of Europe’s last great hopes before Spotify AB came along. With a staff of just 250, two-thirds in Helsinki, Supercell is among the world’s most profitable companies on a per-employee basis, collecting €5 million a day from its 100 million users even in the sixth year of Clash of Clans, its most popular title. Yet the company’s soaring value now boosts the bottom line in Shenzhen, China: In 2016, three years after Supercell sold a majority stake to conglomerate SoftBank Group and game developer GungHo Online Entertainment for $1.5 billion, the Japanese companies flipped it to Tencent in a deal that valued Supercell at $10.2 billion. This seems obvious: Figure out what you do best and stick to it. But then, imagine if Apple and Microsoft had stuck to desktops, Amazon to books, or Tencent to messaging. Europe is also no stranger to unforced errors. 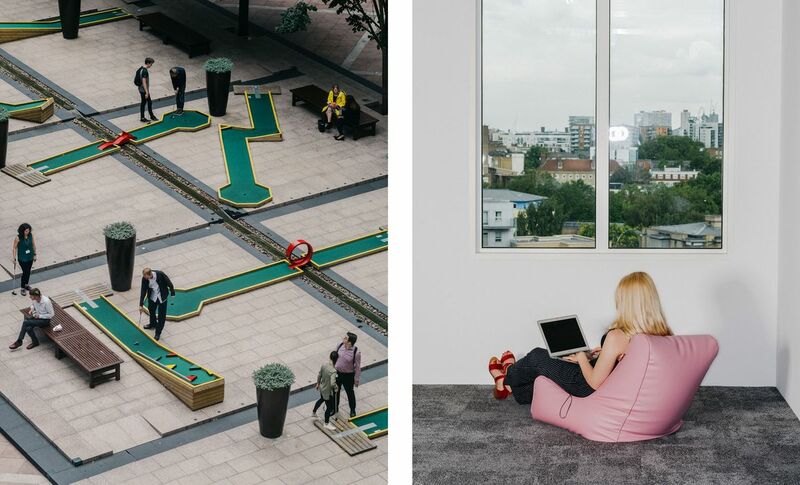 London, its largest financial and technology hub, has unsurprisingly been one of the best places on Earth to start a financial tech company. In the U.S., companies have to contend with each state’s banking and insurance regulators, and laws may vary widely. A company regulated by European Union financial authorities can operate in all 28 EU countries without applying to individual agencies. And since January, any EU citizen who wants to try the services of a financial startup can demand that her existing bank share her account data with the upstart. But, you know, Brexit. If the U.K. leaves the EU next year, that British leg up will vanish. For now, the U.K.’s Financial Conduct Authority and the Bank of England remain especially welcoming of young companies and their experiments. 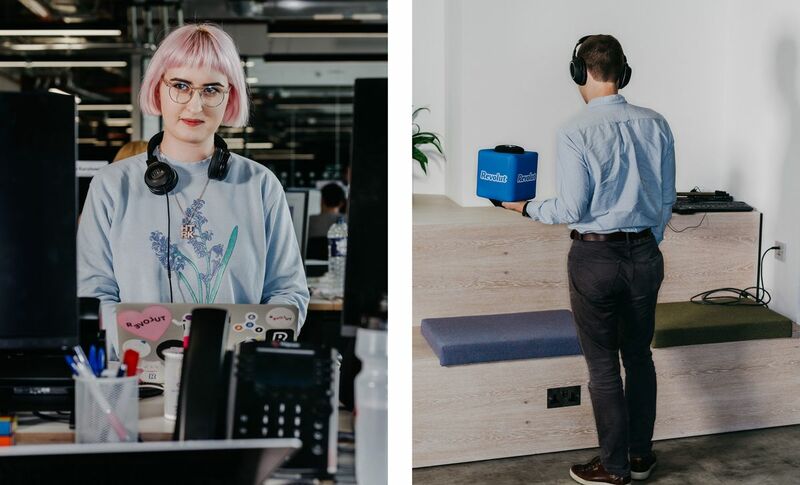 London fintech’s streaking comet, Revolut Ltd., has received $336 million in venture backing and has a valuation of more than $1.7 billion just three years after introducing its first product. Revolut began with a bare-bones, prepaid credit card that didn’t charge foreign-transaction fees; now it offers free international money transfers, a multicurrency business account, checking, mobile phone and travel insurance, personal loans, and cryptocurrency trading. Commission-free stock trades are next. The service says it has 2.4 million customers and adds,000 to 8,000 a day. Or maybe not. In June, Polish banking regulators raised alarms about problems Revolut was having processing payments. In July a U.K. newspaper reported the company had discovered suspected money laundering on its platform, which might complicate its push for a European banking license. Revolut said catching the suspicious activity was evidence that its anti-money-laundering systems work and has offered to reimburse customers affected by the payment outage. But it’s applying for that banking license in Lithuania. To their credit, each of Europe’s tech hubs houses promising startups that combine emerging technologies with the region’s unique brand of engineering and industrial expertise. Promising arenas include drug development (BenevolentAI), driverless cars (FiveAI, AImotive), and electric helicopters (Lilium, Volocopter). 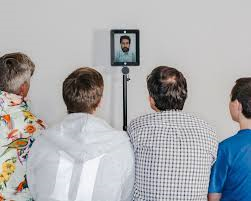 “You are starting to see innovation that’s playing on Europe’s core strengths,” says Yaron Valler, a general partner at Berlin venture firm Target Global. Not all future tech giants need to be aimed at consumers. Some of Europe’s strongest contenders lie in fields such as genomics (Sophia Genetics) and materials science (Skeleton Technologies). In Helsinki, one of Paananen’s favorites is Varjo Technologies Oy, an augmented-reality startup making ultracrisp, super-expensive goggles for use in fields such as aeronautics and architecture. BMW AG and the U.S. Air Force are among those signed up to test the gear. In Stockholm, startup Peltarion, whose founders once built AI systems for Tesla and General Electric, is selling software that makes it easy for other companies to develop machine learning tools. by pushing back on the global tech giants’ concentration of power, tax avoidance, and steady erosion of privacy norms. Since last year, the EU has demanded $15.4 billion in back taxes from Apple and levied $7.8 billion in antitrust fines on Google parent Alphabet Inc. (Both companies are appealing.) The implementation in May of the EU’s General Data Protection Regulation (GDPR)—which has forced many companies for the first time to inform users about, or let them opt out of, the tracking tools that record and sell their digital footprints—has set a higher bar for how businesses treat consumers online. It’s an opening for a brighter vision, one without constant GPS surveillance, genocides organized on social media, and ever-crappier versions of Snapchat. (From left) Luka Crnkovic-Friis, CEO of Peltarion, and employee Pauline Norden at the company’s office in Stockholm. Spotify may not turn out to be Apple’s worst nightmare. Already, analysts are fretting about the stalling growth of its free service and waning per-user revenue for the paid version. There’s good reason to think the company will have trouble reaching a $100 billion valuation without at least diversifying into other forms of entertainment.